Welcome to another exciting edition of Saturday Night Movie Sleepovers! 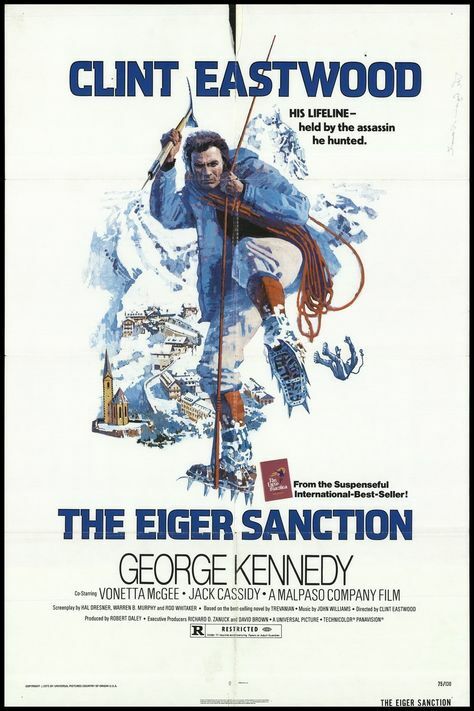 This time around, J. Blake and Dion Baia are kicking in an all new installment of Kung Fu February (minus the Kung Fu this year), and this week the boys are mountain climbing, and chatting the Clint Eastwood, Cold War/spy/espionage thriller, The Eiger Sanction, from 1975! The fellas jump right in, discussing the original 1972 novel by the famed author Trevanian and the differences between the movie and source material. 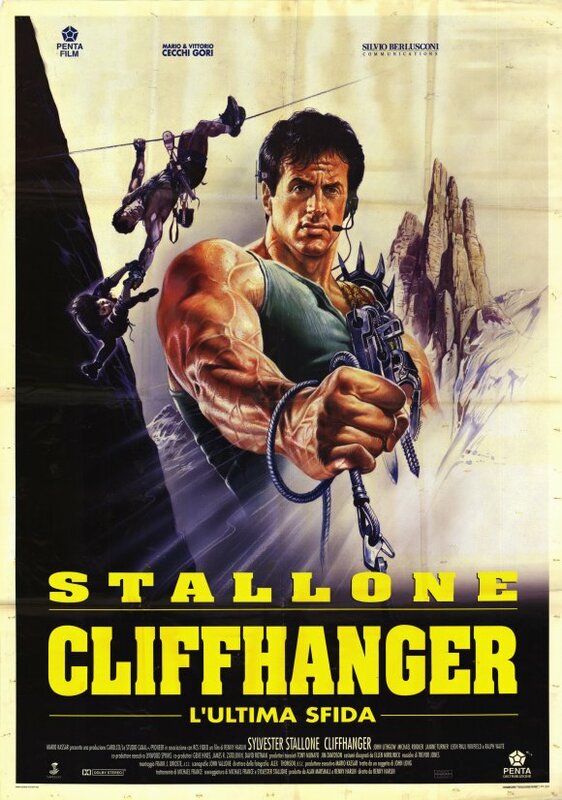 They chat about all the practical stunts Eastwood and his crew performed on the legendary Eiger mountain, back before CGI when you just had to go out and do the stunts yourself… and the many “un-P.C.” aspects to the film that don’t age so well. So grab your climbing gear, some meal bars, and your courage, because Blake and Dion are headed up the Eiger Death Bivouac in this all new episode of Saturday Night Movie Sleepovers! Here’s a great BBC documentary on the truly horrifying history of the North Face of Eiger, called The North Face of Eiger: Wall of Death. Check out The Eiger Sanction Soundtrack, by John Williams! As discussed in the podcast, check out this fabulous and insane 1979 TV movie, Disaster of a Coastliner, that stars the phone book and was part of inspiration for the 1980 spoof, Airplane! Welcome to another brand new edition of Saturday Night Movie Sleepovers! 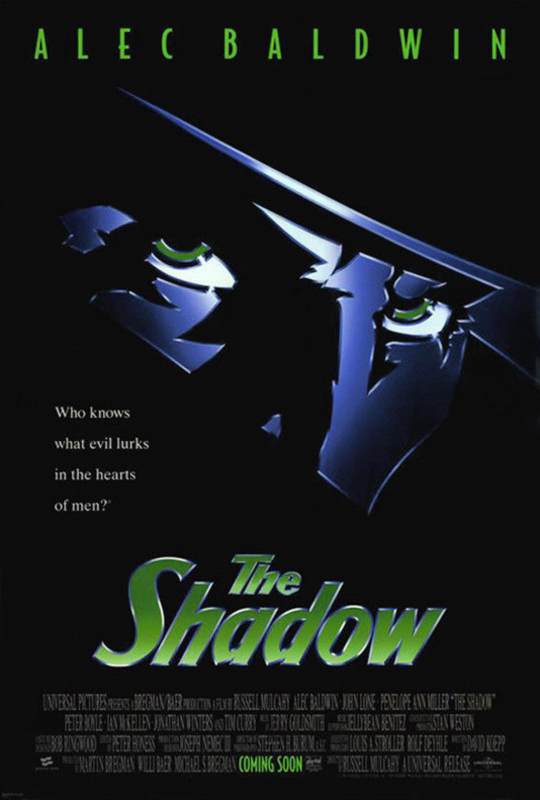 This week J. Blake and Dion Baia are celebrating a movie that’s turning 20 this year and has become a cult classic for many. 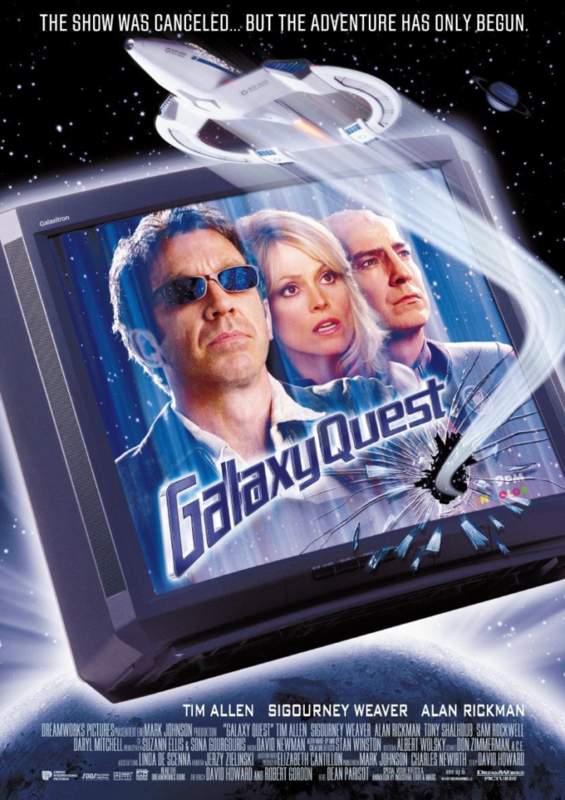 The boys are going into space this go-around with the sci-fi comedy epic, Galaxy Quest, from 1999! 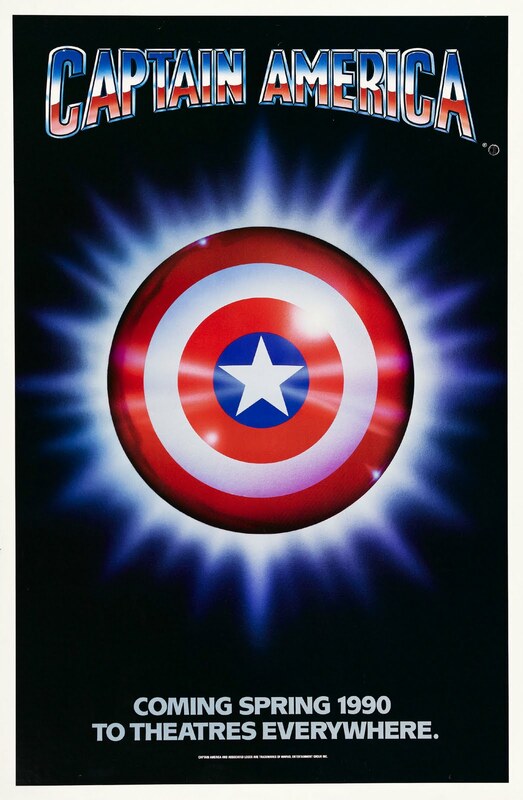 Dion and Blake also have named this one the “tangent” episode, as the fellas go off on some left turns, discussing seeing this in the theater together back in the day, what other films they’ve seen together, Star Trek, After School Specials––among other things. They laugh about the layers of comedy within Quest and the brilliant casting and the obvious (and not so obvious) nods to the Star Trek franchise and its fans. It’s a celebration of multiple proportions this week as the boys explore the mysteries of the Thermian’s Omega 13 device in an all new, hilarious and informative installment of Saturday Night Movie Sleepovers! Check out the deleted scenes of Galaxy Quest! As discussed in the podcast, go read up on the fan-made series that premiered in 2004 called Star Trek New Voyages Phase II. Go watch Star Trek New Voyages Phase II ‘s sequel to the Star Trek TOS episode, “The Doomsday Machine“, entitled “In Harm’s Way“. ‘Tis the Season! J. Blake and Dion Baia are kicking off the Christmas season with a spectacular edition of Saturday Night Movie Sleepovers! For this holiday installment the boys are covering a genre-pioneering action-adventure epic–that’s also celebrating it’s 30th birthday this year. 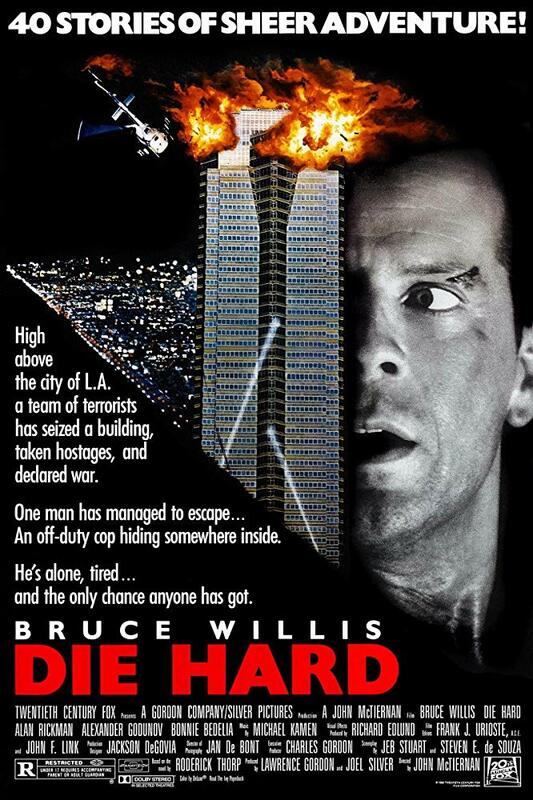 It’s the Bruce Willis classic, Die Hard, from 1988! It’s been a long night (and long year) for the SNMS crew and the lads have started hitting the old holiday ‘nog a little early this sleepover night. Dion and Blake layout the history of this holiday essential, unpacking the history of how it was originally a sequel to a Frank Sinatra property, and it’s journey to becoming one of the most influential action movie’s of the 80’s. Blake also reminisces about seeing a screening of this film introduced by the late great Alan Rickman, and what he had to say when a film asked him a very specific script logic question regarding the storyline. So grab your sleigh bells, your yule tide cheer, your Berettas and most importantly your shoes, cause the guys are taking a trip to Nakatomi Plaza in this 2018 holiday edition of Saturday Night Movie Sleepovers! And thank you to this week’s sponsor, Robinhood! Out this week, please go pick up a copy of Dion Baia‘s debut novel, Blood in the Streets, available on Amazon, Barnes & Noble.com, Target.com, Simon & Schuster, or at your favorite bookstore in paperback, ebook & audiobook! Check out the original theatrical trailer for Die Hard, with lines no included in the final version! Have a look at this great collection of Die Hard bloopers! Welcome again to an all new installment of Saturday Night Movie Sleepovers! 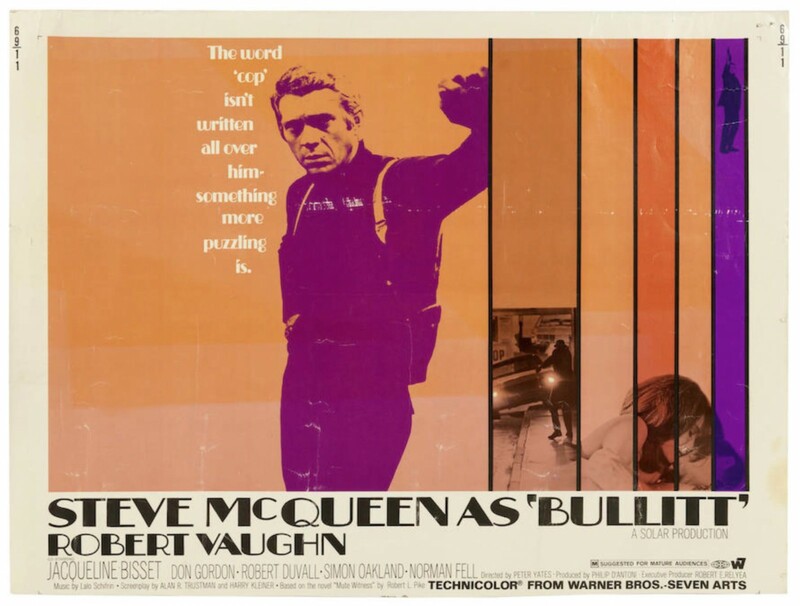 This week Dion Baia and J. Blake are exploring a film that turns 50 this year, a classic and a pioneer in the genre, the Steve McQueen police-thriller, Bullitt, from 1968! Blake and Dion go way down the alley- dissecting the history of this ground-breaking movie and take a deep-dive into the man, the myth, the legend, Steve McQueen. They lay out his upbringing to give context to the legendary career and short life he led. The boys then utilize the original 1963 source novel, Mute Witness, to flesh out the background of the film. 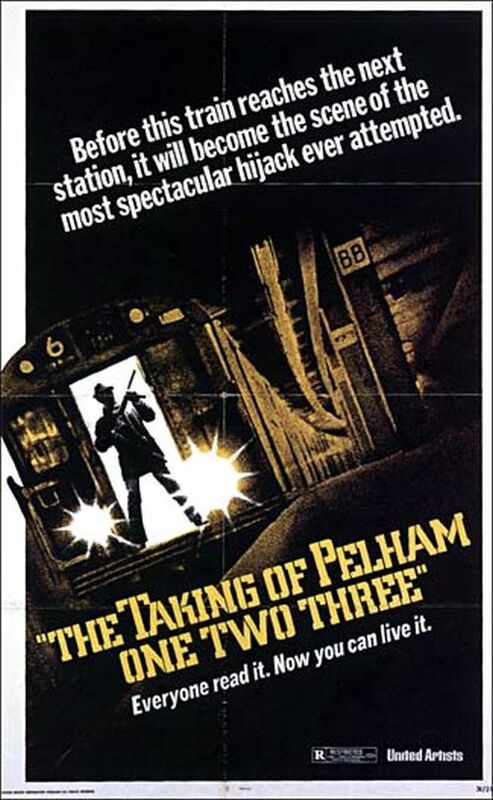 They unpack all the elements like the car chase, McQueen’s style, Peter Yates’ direction, and the Lalo Schrifrin score – all of which turned this movie into the classic it became. And the fellas reveal Dion’s surprise as well! So, grab your Ford Mustang Fastbacks, cause the boys are heading back to San Francisco on an all new episode of Saturday Night Movie Sleepovers! For more about Dion’s new book, Blood in the Streets, have a look here! Check out this behind-the-scenes, making of featurette for Bullitt, narrated by Steve McQueen. Please check out this great site on the many styles worn in cinema, at BAMF Style: Iconic Style from Movies and TV. Take a look at this GREAT Janaury 2018 commercial for the new Ford Bullitt Mustang, featuring Steve McQueen‘s granddaughter, Molly McQueen, in a great nod to the 1968 film. Have a look at this 2005 Ford commercial for the new Bullitt Mustang, featuring Steve McQueen in a Field of Dreams kind of situation. Here’s an article on the amazing story of the lost Ford Bullitt Mustang found in 2017 in a Mexican junkyard (the car that did a lot of the jumping, stunts, and took most of the abuse) thought to be lost forever! Check out this article on the other lost Ford Bullitt Mustang used in the film (the one for close-ups and the car McQueen tried to buy back), and it’s story of where it’s been over the past 50 years! Bullitt is going back into the theaters for it’s 50th birthday! Welcome back to another edition of Saturday Night Movie Sleepovers! This week J. Blake and Dion Baia are covering a recent classic (well recent for them), a movie that was a breakout hit and jump-started an entire sub-genre. The boys are headed to Paris, as they tackle the Liam Neeson thriller, Taken, from 2008. Dion and Blake jump right in, laying out the plot and discuss the reasons they love this film. They analyse other movies that inhabit this genre and praise this tight and fast-moving script, and speculate as to why an otherwise straight-forward, run-of-the-mill action movie starring an actor in his mid-50’s can be such a great, extremely popular action-adventure! So grab your foreign currency, burner phones, and plane tickets, because the boys have 96 hours to straighten everything out on another episode of Saturday Night Movie Sleepovers! 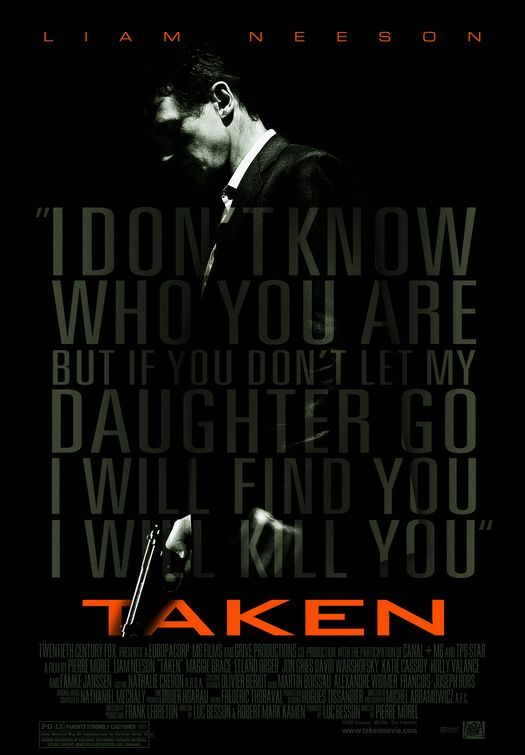 Check out the original 2008 trailer for Taken! Have a look at this interview with Liam Neeson about the film. Take a look at this YouTube film of Taken, in 2 minutes. And of course, we need to thank this episode’s sponsor mackweldon.com! Keep an ear out for the advertisement in this episode for a promo code to save money on your first order! Welcome to a very special episode of Saturday Night Movie Sleepovers! This week J. Blake and Dion Baia are covering a classic Chicago-centric film and to ground them and give it some historical city context and for this gigantic sleepover, they brought in the Windy City’s very own, Mighty-Mighty Mike Vanderbilt to lend a hand. We’re all ‘on a mission from God’ this go-around when we take on the musical phenomenon The Blues Brothers, from 1980! Having Mike Vanderbilt over is very exciting for Dion and Blake, and after a quick catch up, they all jump right in. Mike and Blake bring an added layer to the conversation as they are gigging rock and blues musicians themselves with their own bands, and they talk shop about fronting various groups and their gear preferences when performing live at various venues (Dion tries to add his input as he played the alto saxophone in 4th grade, and the drums for 4 years in elementary and middle school). 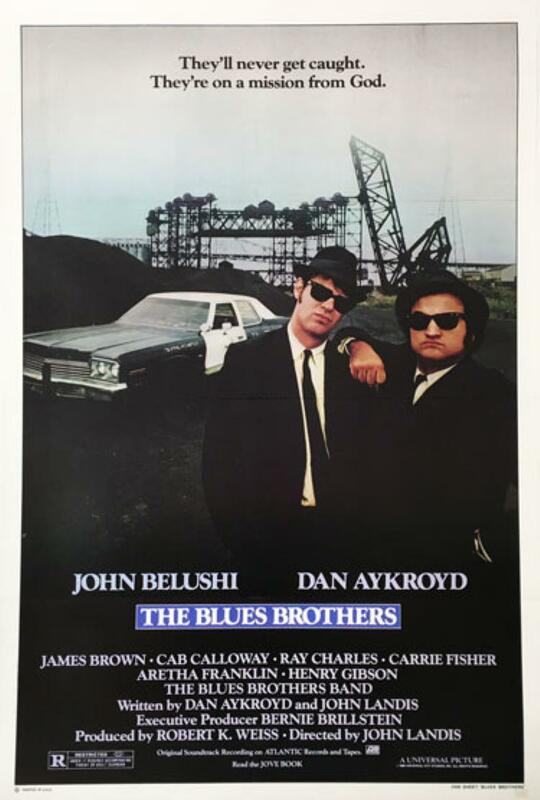 The fellas then focus in on the significance of this film and the history of The Blues Brothers and Jake & Elwood, discussing their roots on Saturday Night Live, and the direction of John Landis on the 1980 film. Mike brings his unique Chicago input, giving some great context to the various locations that highlight the Windy City, making it almost a third star of the film. So, make sure you’ve got your converted 1974 Mount Prospect Dodge Monaco gassed up, your cheese whiz, and your Night Train Wine, ’cause the boys have a long ride back, as they examine another classic, on an all new fantastic Chicago-edition of Saturday Night Movie Sleepovers! Please check out J. Blake’s musical endeavors here, as he keeps the blues arrive in New York City! 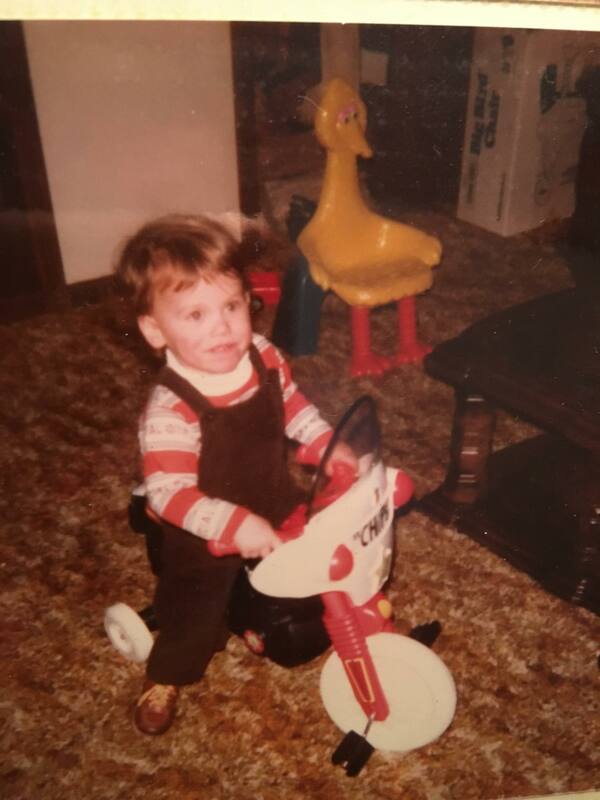 Please check out Chicago‘s very own, Mike Vanderbilt on TWITTER, on FACEBOOK, at The A.V. Club where he is a writer and contributor, at The Daily Grindhouse where he is an editor, and tending bar at the Rock Island Public House! Take a look at this fabulous documentary on the making of The Blues Brothers. Here’s a playlist of the deleted scenes from the iconic film! Have a look at The Blues Brothers‘ Full Concert at the Winterland, on December the 31st, 1978! Welcome back to another exciting episode of Saturday Night Movie Sleepovers! This week Dion Baia and J. Blake are exploring one of their favorite franchises -talking all things Star Trek– and taking a deep-dive into the 1991 film, Star Trek VI: The Undiscovered Country ! Blake and Dion jump right in, unpacking this huge topic- from the original series, to the feature films, and all the other elements that led to this movie, Star Trek VI , as well as utilize the fantastic novelization. They also lay out all the social and geopolitical events that were unfolding around the world at the time that played into this film (which the boys consider one of the best of the series). So watch your Romulan Ale intake, and monitor any enormous neutron radiation fields, because the lads are dissecting one of their absolute favorites in this all new installment of Saturday Night Movie Sleepovers! 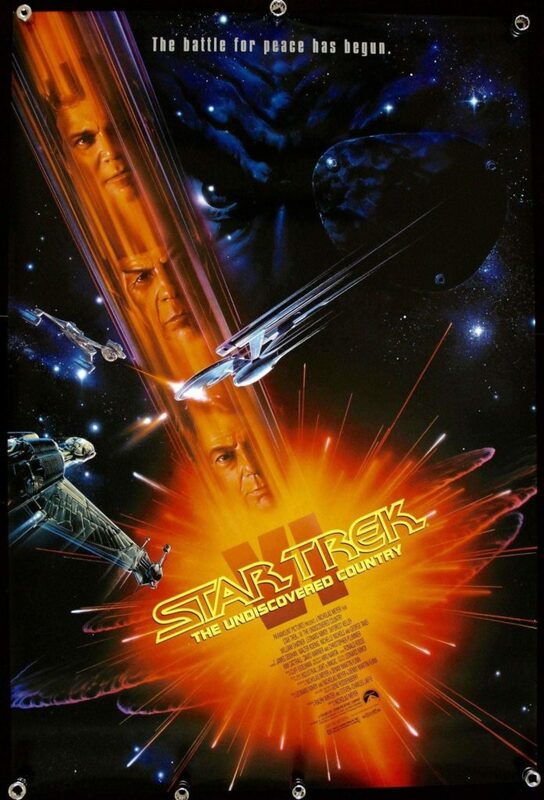 Check out the original trailer for Star Trek VI: The Undiscovered Country! Here’s a great featurette from 1991 on the making of Star Trek VI! Have a look at this great interview with composer Cliff Eidelman about the film. Take a listen to the amazing spine-tingling episode of Suspense, entitled The Flesh Peddler, starring the great DeForest Kelley. 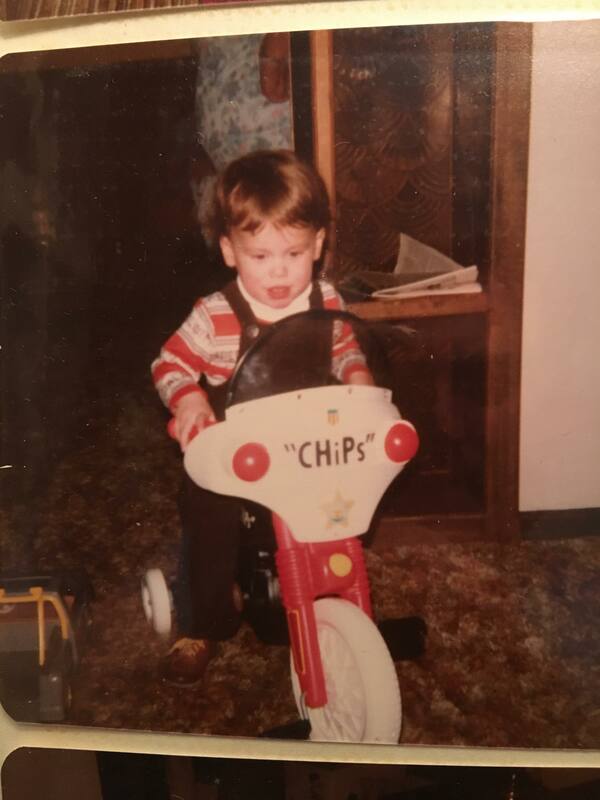 As referenced in the podcast, here’s a young Dion HERE and HERE blissfully playing with his CHiPs tricycle, before the now notorious ‘incident’. Welcome to another all new episode of Saturday Night Movie Sleepovers! With the hot summer months upon us, J. Blake and Dion Baia have decided to cover a classic- a movie they’ve been talking about doing since year one of the podcast. 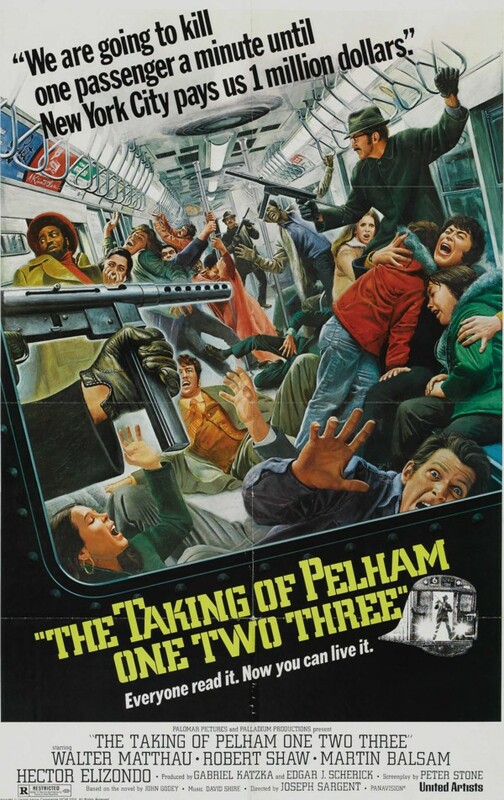 This week the boys are hitting familiar territory -the gritty 1970’s- and chatting about the amazing Walter Matthau and Robert Shaw film, The Taking of Pelham One Two Three, from 1974! After having a brief discussion about “trigger warnings,” Dion and Blake jump right in and can’t gush enough about their mutual love for this seldom remembered cinema gem. They unpack the backstory of the film, the history and climate of New York City of the era and why all this is integral to the movie’s plot. They analyze the absolutely amazing cast of actors, the tight story, and they breakdown the phenomenal score by David Shire. So, grab your subway maps, your subway motorman car “keys” and your train timetables, because the fellas are taking you back to one of the greatest eras of cinema -the 1970s- and one of its best examples, right here on an all new installment of Saturday Night Movie Sleepovers! Please take a listen to the absolutely fabulous score by composer David Shire! Have a look at the original trailer to this classic film! Take a gander at these great alternate posters for the film, HERE and HERE! As discussed in the podcast, PLEASE check out these EXCLUSIVE interviews with former NYPD Homicide Detective turned Hollywood legend Randy Jurgensen, as he discusses and lays out this era in both cinema and the country (particularly in New York City), of the late 60’s and 70’s. Must listens for any film or history fans. 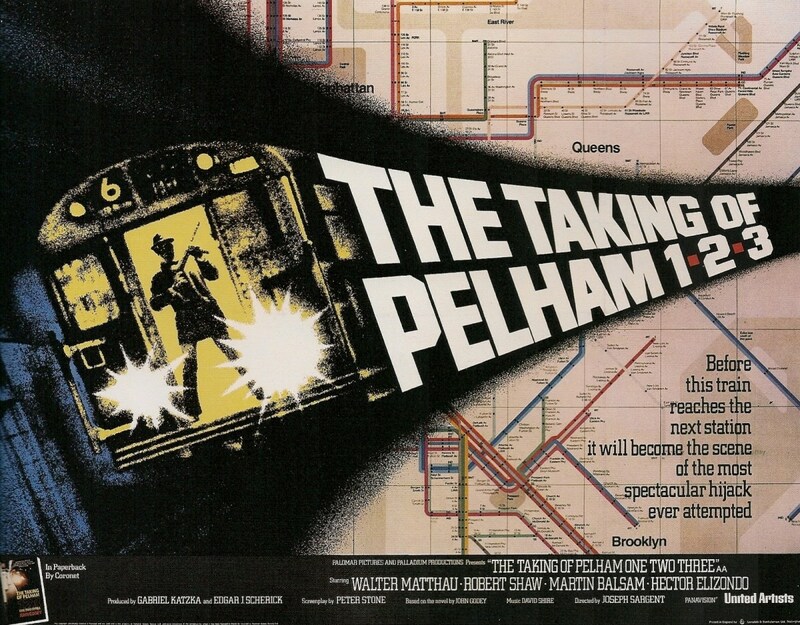 Here’s the original trailer for the 1998 television adaptation of The Taking of Pelham 1 2 3! And lastly, have a listen to the 1994 Beastie Boys song Sure Shot, where not only due the B Boys name check this week’s movie, but also give shout-outs to Dr. John, Lee Dorsey, Kojak, John Woo, Rod Carew, Lee Perry, Vaughn Bode and Cheech Wizard, and good old Ma Bell… all in one tune. Impressive. Welcome back to another edition of Saturday Night Movie Sleepovers! 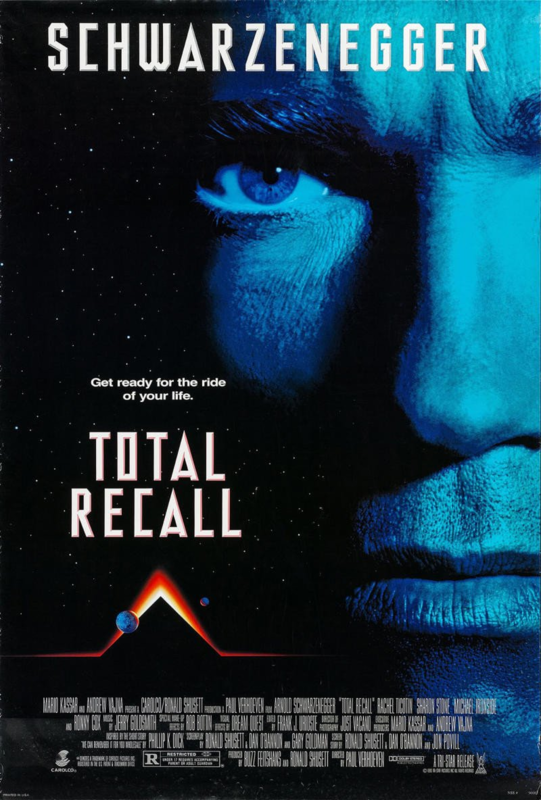 Dion Baia and J. Blake are back talking about a mega summer blockbuster that turns 25 years old this month, a film that literally changed the face of cinema with its use of DTS and Computer Generated Imagery for the better (or worse, depending on your feelings about CGI vs Practical Effects). That’s right, the boys are chatting the Michael Crichton/Steven Spielberg classic, Jurassic Park, from 1993! 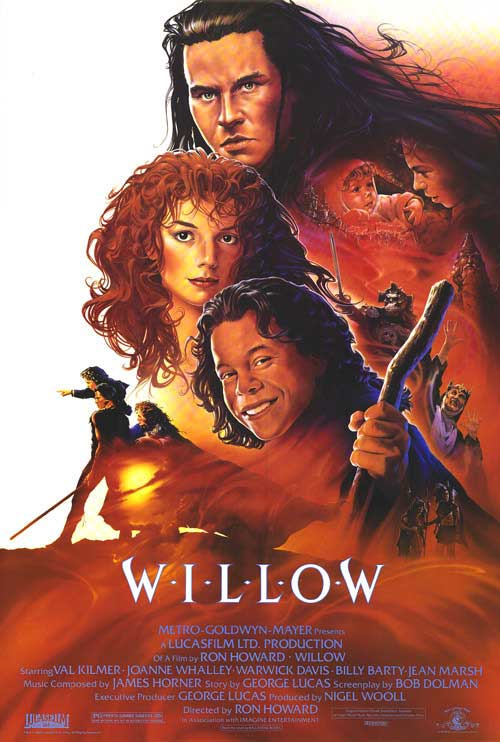 Blake and Dion jump right in, discussing memories of seeing this film that glorious summer of 1993, and how incredible the visuals and audio were for cinema-goers at the time. They discuss the revolutionary Special Effects within this movie and how they evolved with the story from being robotic and stop-motion effects, to ground-breaking CGI. They cover the inception of this story from the brilliant mind of Michael Crichton, and how he was able to sell this idea to Steven Spielberg even before the book was published. They also dissect Spielberg‘s choices within the film and the moments that have now become that of cinema legend! So grab your partners, pile into the autonomous Ford Explorers, and whatever you do, don’t get out of the vehicles if there’s a power outrage, because the fellas are talking dinosaurs this week with an all new installment of Saturday Night Movie Sleepovers! 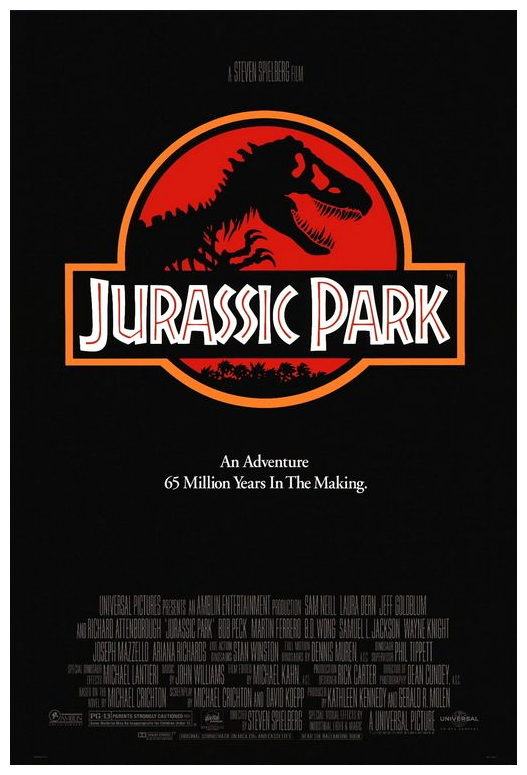 Check out this 1993 behind-the-scenes making-of documentary on Jurassic Park! Take a look at these great and rare behind the scenes footage at Stan Wintson’s workshop, developing the various practical dinosaur Effects! Here’s a great behind-the-scenes featurette creating and sculpting the full-size T-Rex dinosaur! Have a gander at this great interview with Michael Crichton talking about Jurassic Park. The boys are at it again this week on an all new episode of Saturday Night Movie Sleepovers! J. Blake and Dion Baia are taking on an absolute cinema classic–the Robert Zemeckis helmed masterpiece, Back to the Future from 1985! Filled with an all-star cast on the very top of their game, Dion and Blake can’t hold in their excitement and enthusiasm for this movie, as they gush over every aspect of the production. From the script, to the effects, to the themes–everything here is top-notch. They discuss the huge “what-ifs” in this movie, like the alternate cast choices, early versions of the script, and the alternate ending. It’s all going down this week. So grab your skateboards, portable cassette players, and make sure you have enough plutonium to get back and forth again, because once they get their newly built Delorean conversion to 88 mph…well you can guess what’ll happen this week, on an all new installment of Saturday Night Movie Sleepovers! Check out the original 1985 trailer to Back to the Future! Here’s some great deleted scenes from the film! Take a look at these original screen tests with Crispin Glover, Lea Thompson and Tom Wilson! Crispin Glover discusses his fallout and issues with Zemeckis and others that led to his lawsuit and none appearance in the sequels. 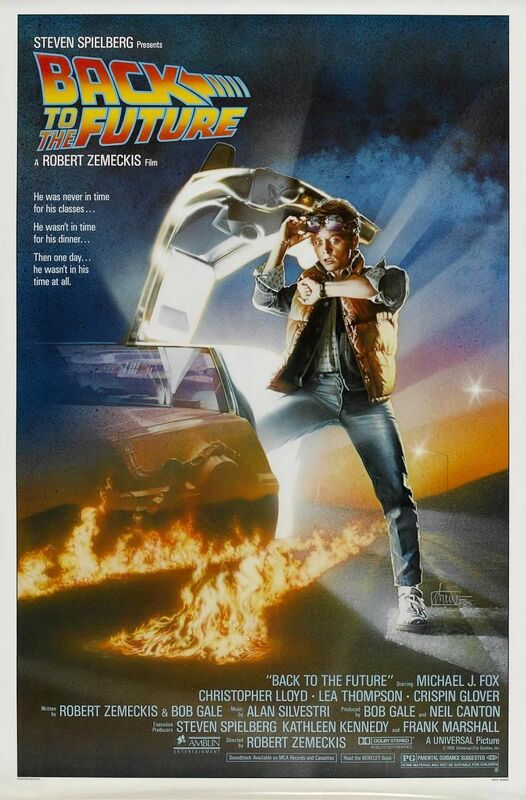 Have a look at Christopher Lloyd taking about Eric Stoltz and his exit from Back to the Future. Lastly, as referenced in the podcast, if you wanna check out the early podcast episodes Blake & Dion did prior to the inception of Saturday Night Movie Sleepovers, check out their Side-Casts on Podwits.com.